Education, says Elder Porphyrios, lasts throughout life (lifelong education) and starts from fetal life, and constantly evolving. The most important educations and upbringing is the one held by the family. 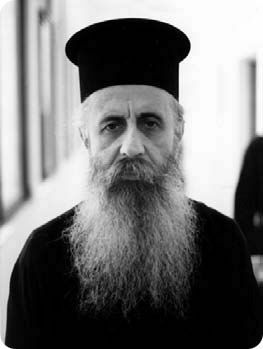 According to Elder Porphyrios, the family is the first physical means of upbringing and educating people. In the first five years of human life the family with all functions – visible and hidden, conscious and unconscious – helps on shaping the personality. The child and the adolescent observe the family roles played by parents. Children often identify themselves with the roles of parents. Sometimes, however, the children reject their parents and adopt a reactive behavior. This is obvious especially in dysfunctional families. Elder Porphyrios teaches that the core of the personality of young people is organized in the framework of the dynamic relationships in the family. Elder Porhpyrios in all the cases that came to him for confession, he studied their background of their intra-familial and marital relationships. What makes good children, says Elder Porphyrios, is the virtuous lives of parents at home. Parents should love God. Parents, according to Elder Porphyrios, should become ‘saints’, ‘holy’ near their children and have gentleness, patience and love. They should be always available for their children, with enthusiasm and love for them. Then, with the grace of God, and their ‘holiness’ they will transfer their good and virtuous feelings to their children. For the bad behavior of the children, says Elder Porphyrios, we should blame the parents. Parents don’t help their children with their advice and by ‘lecturing’; neither by imposing a strict discipline, nor by controlling their life. If the parents don’t ‘sanctify’ and become ‘saints’ and virtuous, they make a big mistake and send the wrong message to their children. Love, unity and cooperation of parents and good understanding between them and their children gives a sense of security and confidence to their children. Otherwise, the children become unsafe and insecure. Often the insecure children can lead to the ‘safety’ of a gang and/or obtain a violent behavior (as a reaction to a dysfunctional family). Elder Porphyrios says that family has a major responsibility for the mental status of everyone. He believes that the education and upbringing of children starts from the moment of their conception in the belly of their mother. The fetus in the womb hears and feels, understands the movements and emotions of the mother. If the mother feels sadness, fear or anxiety, the feeling is transmitted to the fetus. If the mother does not want her fetus, if she does not love it, this feeling is transmitted to the baby and creates wounds in its soul that carries throughout its life. In relation to the teaching role of the parents, Elder Porphyrios says that parents – especially the mothers – often know how to get nervous, distressed and also know to ‘lecturing’ their children, but they have not learned to pray for their children. Advice, suggestions and ‘lecturing’ are often tiring for their children, says Elder Porphyrios. Instead, the prayer goes immediately to their heart. Elder Porphyrios says that the parents’ life is the only thing that creates good children inside the house. Parents should be very patient and ‘saint’. They should truly love their children. And the children will share this love. For the bad attitude of the children, says Elder Porphyrios, the parents are usually responsible. The parents don’t help their children with their repeating ‘advice’, the discipline that they impose and their strict rules. Elder Porphyrios advises parents to knock on the door of the soul of their children gently, subtly and politely. They should not become tedious and annoying their children with their ‘lectures’ and their over-protection. 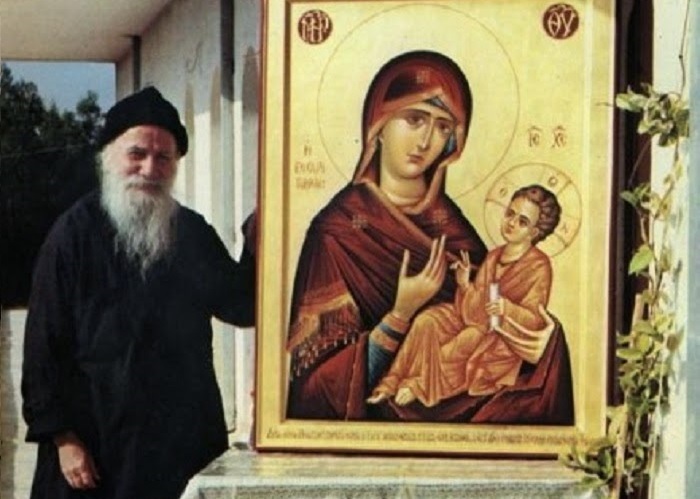 So, says Elder Porphyrios, most parents need to do a secret prayer for their children and say what they have to tell them secretly, to the soul of their children. The perfect, as elder Porphyrios says, is the parents to talk to God and then God will speak to their children. Elder Porphyrios believes that the family is largely responsible for the psychological problems and the negative behavior of the children. The ‘sanctity’ of the parents prevents these problems. The children need beside them ‘saint’ parents who love them (not in the sense of over-protection that ‘chokes’ them), and not to tire them with their ‘lecturing’ about moral issues. However, says Elder Porphyrios, parents should not ‘change’ their children with threats, strict rules, ‘advice’ and compulsions, because they rather make things worse. The parents should correct the situation by becoming more ‘saint’ themselves. If the parents give love, they will receive love. Children need love from their parents, and not threats, or parents that keep on lecturing to their children, however they do not follow the good example that they ‘preach’. 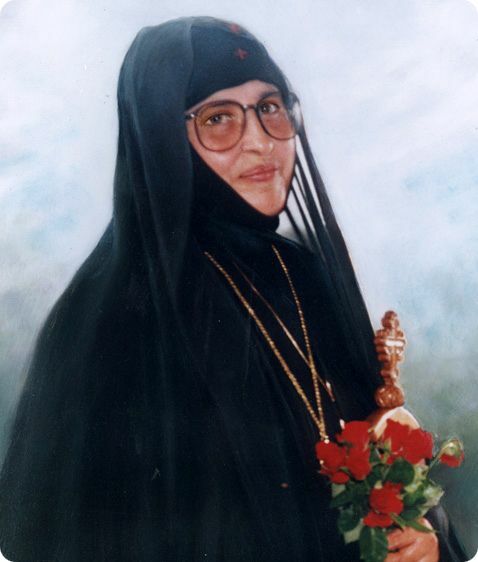 Once a mother complained to Elder Porphyrios that her son failed to pass the exams to enter at the university. He was the best student in the primary, the junior and the senior high school. 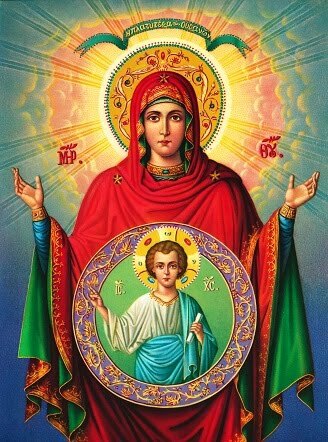 Elder Porphyrios said to the mother that she was the one that oppressed her son all these years to be the best student, in order his family to feel proud. However all this pressure, that we call ‘perfectionism’, had a negative impact to the child. It was fed up from all this pressure and finally reacted to it by neglecting studying his lessons. Elder Porphyrios advised the mother not to press her son to be perfect, neither to be overprotective to it. Her son would move on, when his mother leave him free from this oppression. Elder Porphyrios says also that parents should also pray to God for their children. Their children’s soul feels this prayer that secretly their parents sent. The children feel more secure when their parents (and especially their mother) pray for them. 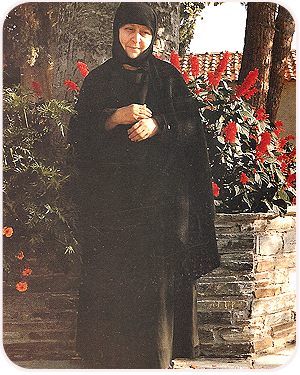 Once a mother visited Elder Porphyrios at the monastery. She was desperate for her son that had not ‘good’ guys for friends, he was ‘confused΄’ and he returned home very late at night. Elder Porphyrios said to her just to pray for her son every night at a specific time. Elder Porphyrios also prayed the same time every night. He advised the mother not to press her son by ‘lecturing’ him because he returned late at home, but instead say him e.g. : ‘My son, you can eat the food we have left you in the fridge’. She shouldn’t say anything else. She just needed to treat her son with love. Elder Porphyrios sees God in the face of the people. Often he keeps silent, and with his silence he gives his advice. He also personalizes each case. He regards everyone as a unique personality. Thus, for the same incident he may give in two people two different advice. In any unusual behavior he illuminates the causes it and then, with a distinctive way, he intervenes. So parents, and especially mother, need to pray for their children, says Elder Porphyrios. 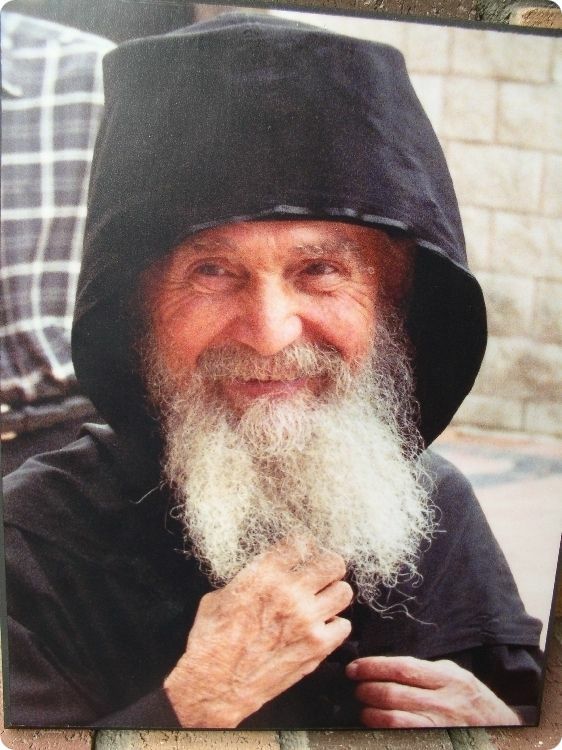 ‘Pray more and say less words’ Elder Porphyrios used to say. Parents should avoid bothering their kids. They should rather pray, secretly. By ‘lecturing’ to their kids, parents make their kids react with usually a negative behaviour. Another kind of reaction, says Elder Porphyrios, is with their peers, when the children have bad guys for friends, or they say vulgar lay words. Of course parents should be the perfect example for their children and follow their own advice. Too much care and over-protection are characteristics of parental anxiety. Often the parents are anxious about the future of their children (to get married and make a family and to find a job). Their stress creates anxiety in their children. Parents often try to fulfill their unfulfilled desires and dreams through their children. 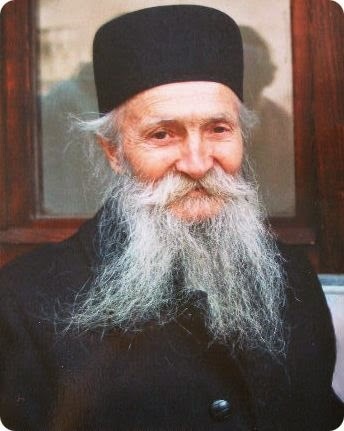 Porphyrios Bairaktaris (1906–1991) was an Athonite hieromonk known for his gifts of spiritual discernment. A native of Evia province, the future Elder Porphyrios (his birth name had been Evangelos, while his monastic name was Nikitas) became a monk at the age of fourteen or fifteen. 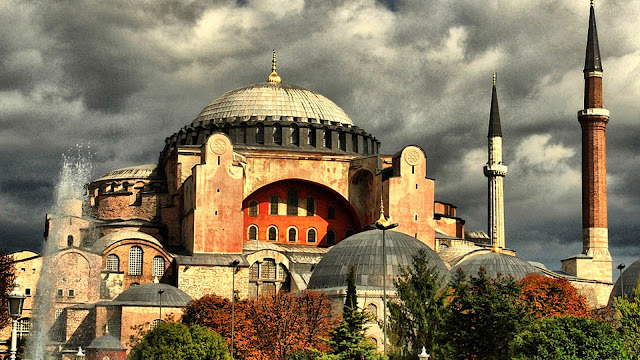 He was tonsured a monk in the Athonite skete of Kafsokalyvia, in the Cell of St. George. Forced by pleurisy to depart the Holy Mountain, he returned to his birthplace, where he was unexpectedly elevated to the priesthood by Porphyrios III, Archbishop of Mount Sinai and Raithu. With the outbreak of World War II he became a hospital chaplain in Athens, in which post he continued for three decades (1940–1970). 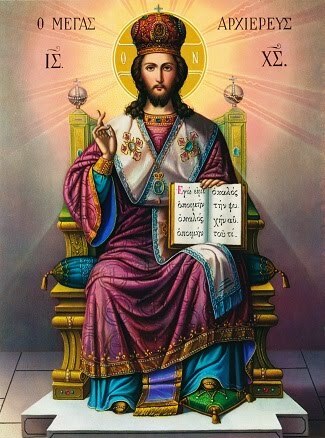 His later years were devoted to the construction of the Holy Convent of the Transfiguration of the Savior. After 1984 he returned to Mount Athos, occupying the same cell which he had earlier in life been forced to abandon. Through his role as spiritual father, Elder Porphyrios became known to an ever-wider circle of Orthodox faithful. Several compilations of stories and sayings attributed to him have been published.